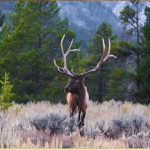 Dr. Hosters will be traveling to Jackson Hole, Wyoming this fall for the 2015 Platinum Implant User Conference. This conference will center on the concept of business planning. There will be breakout sessions with his fellow Platinum clinicians to discuss implementing new products and programs for success and practice growth. On Saturday he will be working on optimizing our online presence in an interactive workshop and he will participate in an interactive panel to discuss different treatment modalities for fully edentulous patients.